Curry Rivel Music will be hosting the Stetson University Chamber Orchestra from Florida, under their conductor Anthony Hose, for the culmination of a very successful 40th Anniversary Season on Saturday 18 May 2019. Entry to the concert will be free, but there will be a retiring collection for Curry Rivel Music. The orchestra is primarily a string orchestra, and the university is an undergraduate university, so the students spend four years as undergraduates, during which time they will have covered a broad spectrum of the string orchestra repertoire. With a few exceptions, the players are majoring in music but there are also others who are doing a digital arts degree or double majoring with subjects such as English, psychology or political science, and some stay a fifth year to do an MBA. In the USA the education system steers people towards graduate study after their undergraduate studies and typically students from Stetson will go to universities or conservatories such as New England, Boston, Yale, University of Michigan, Maryland, New York, Cincinnati, and Indiana among others. The programme for this concert will include music by Elgar, Grainger, Telemann, and Mendelssohn. Conductor Anthony Hose began playing the piano at the age of three and gave his first recital at the age of six. He studied the piano, harpsichord and conducting at the Royal College of Music, additionally studying clarinet and double bass. He continued his conducting studies first in Salzburg and then with Rafael Kubelik in Munich and Geneva. Anthony Hose spends nine months of the year as Director of Orchestras at the University and he is also Artistic Director of the Welsh Chamber Orchestra, Artistic Director of the Beaumaris Festival in North Wales and is Head of Music Emeritus, Welsh National Opera. In the opera house he has conducted many productions for the Welsh National Opera with repertoire ranging from Handel to Tippett and including most of the operatic repertoire of Mozart, Verdi, and Puccini. the first complete performance in Britain of Kodaly’s Hary Janos and Cherubini’s Medee. 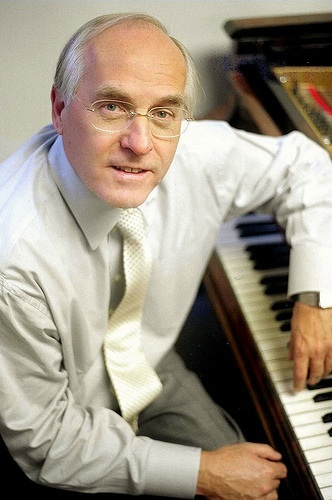 He has broadcast many operas for BBC Radio 3 including Cavalli’s Jason, which he directed from the harpsichord in his realization of Kodaly’s folk opera, The Spinning Room. He has recently conducted new productions of Monteverdi’s Il Ritorno d’Ulisse and Leonard Bernstein’s Candide. He has also been Artistic Director of the Mount Dora Spring Festival in Florida and of festivals in Wales at Beaumaris and Llandudno, and is currently Director of Orchestras at Stetson University, Florida.